"Time to Test Their Metal"
In this animated comedy, a group of prehistoric people want to live simple lives. The problem they encounter is very common in animated movie: a ruthless developer who wants to mess up their neighborhood. The movie opened in 2018 to mixed reviews. 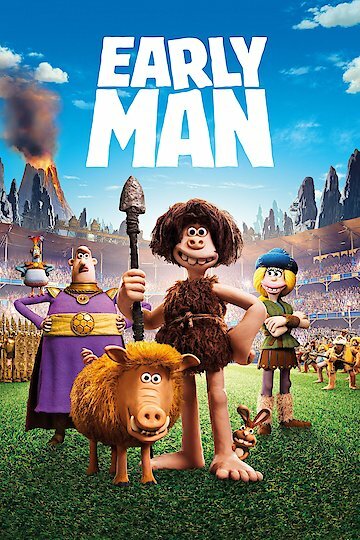 Early Man is currently available to watch and stream, download, buy on demand at Amazon Prime, HBO NOW, Amazon, Vudu, Google Play, FandangoNow, iTunes, YouTube VOD online.